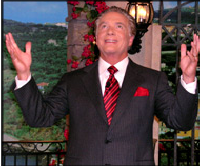 OrbsCorbs: "City of Racine Residents Are Stunned To Discover That 2016 Property Tax Rates Under Mayor John Dickert Exceed Those of City of Chicago Mayor Rahm Emanuel by Almost Double!" 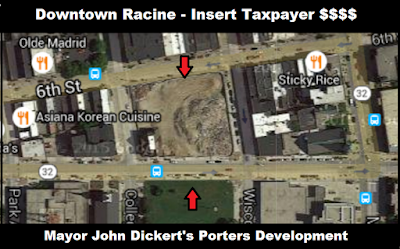 "City of Racine Residents Are Stunned To Discover That 2016 Property Tax Rates Under Mayor John Dickert Exceed Those of City of Chicago Mayor Rahm Emanuel by Almost Double!" "While the news media has been quick to report on the massive property tax increases enacted by City of Chicago Mayor Rahm Emanuel, they have failed to point out that those large increases bring the total property tax rate to only about HALF of what many Cities in South East Wisconsin charge. Is it any wonder that the productive People of Illinois aren’t flocking to residential properties in Racine and SE Wisconsin? An entire region of Wisconsin’s Rust Belt which is quickly morphing into Detroit West with corrupt and criminal politicians who are looting the tax base, levying outrageously high property taxes, suffering from high rates of crime (which is often under-reported), curtailed services and large sections of failing infrastructure populated by illegal immigrants, the unemployed, those who depend upon public assistance, and recent Third World EB-5 Immigrants." It's a dilemma with NO comfortable or easy answer. 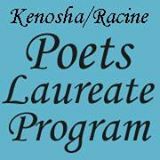 It's now crunch time at Racine City Hall - as the time to collect big and easy benefits and retirements funded by the working stiffs of Racine recedes. Vos won't let the City do what it needs to do to fund the pensions and benefits properly. But then again, if the City raised the taxes to a rate sufficient to pay all those promised Benefits and retirements - the productive private middle class would leave. It's a Mexican Standoff - and eventually it will all fail. Face it - owning anything in Racine, Racine County, or The Criminal State of Wisconsin is just a tax liability. 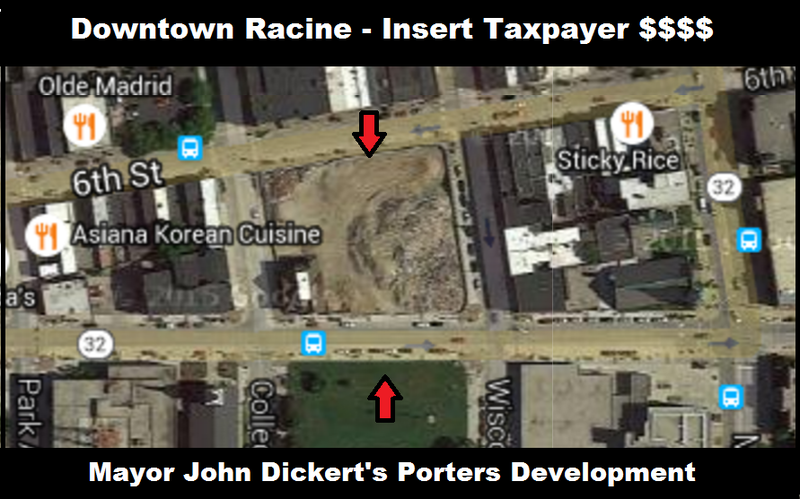 Don't be Looted by Racine Mayor John Dickert - who Operates a City of Ill Repute.